Passenger is a real beast. Lexington Avenue Rawrrr! August 4, 2013 Spiffy Kitty House Call Cat GroomingLeave a Comment on Passenger is a real beast. Lexington Avenue Rawrrr! I love the upper east side. Even the stuffed animals have chauffeurs. 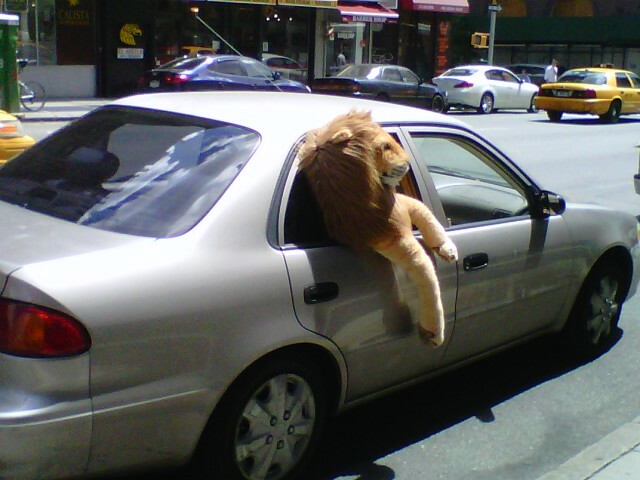 Driver, take me to the Bronx Zoo. But first, stop at the butcher shop on Lex and 71st.